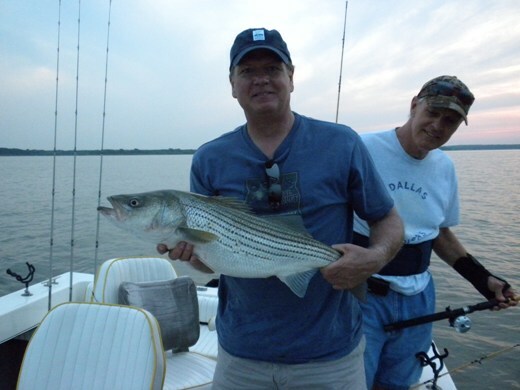 May is traditionally one of the best months of the year for catching lots of stripers, but for whatever reason, this year, May was tough fishing here on Lake Texoma. You could find lots of fish but they were just in a bad mood and wouldn’t want to feed. You might catch one or two fish before they would leave and you would have to look for another school. 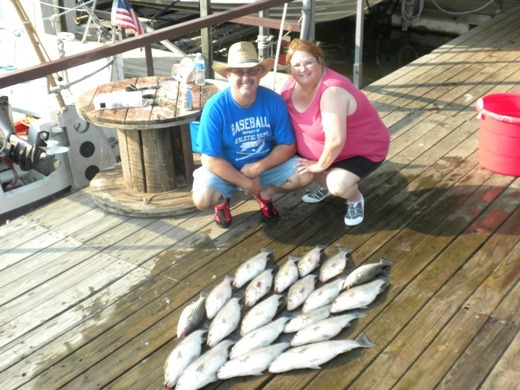 The good news is that the fish got over their funk and the last few days have been great fishing. We are finally starting to pull limits consistently morning and evening, as it should be for this time of year, with a big fish thrown in here and there for good measure. Finally fishing is good and the word is out. Lots of boats congregate up in a boat show and chase the fish across the lake every morning, even on the week days now. The high pressure, 90 degree days, and light winds, seem to be what finally got the fish into a reliable pattern. 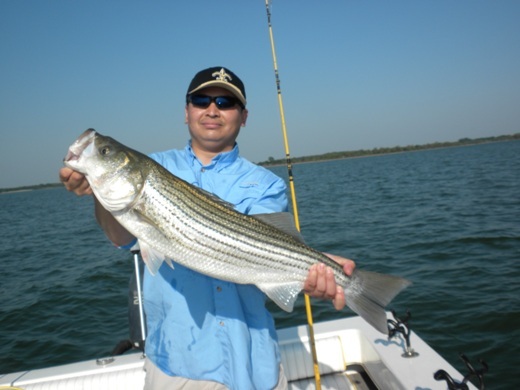 The fish have now all moved into the cooler deep water roaming the 60-80 ft range in big schools and can be caught drifting using live bait or slabs. Get ready when they come under the boat because every rod you have out is going to go down with drags screaming and fish flying in the boat left and right. This morning we had our limit by 6:45 and played catch and release for the rest of the trip until my customers were ready to come in. There have been reports of fish feeding on topwater here and there but I have yet to see it and it will not become consistent until the shad spawn all hatches out which should be in a week or two. Here are some pics of the past few days. 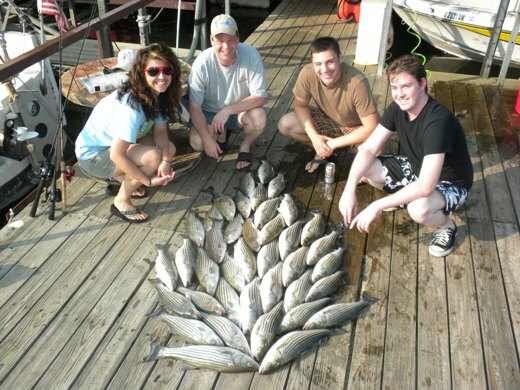 Fishing is good right now and we should consistently bring home limits of fish for as long as it last so if you can make it, now is the time to come. My schedule is getting filled up but I should be able to get you booked with Mark or Micah on short notice so give me a call at (903)815-1609 and I’ll get you set up. 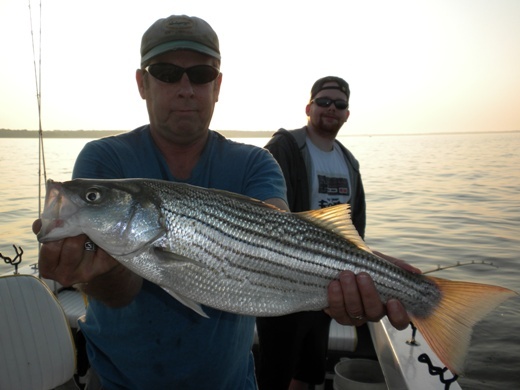 For more information you can check out our website at www.stripersinc.com.